The AUD/CAD pair rose to 0.6910 on early Tuesday. Upbeat business survey results from the National Australia Bank triggered the pair’s upside while doubts over US-China deal, RBA’s dovish outlook and comparative CAD strength limits the rise. AUD/CAD gained 20 pips to 0.9410 within Tuesday’s initial Asian trading hours but failed to hold the gains afterwards. The pair surged to the day’s high after Australia’s NAB business confidence and conditions surprised markets with upbeat numbers. However, comparative strength of the Canadian Dollar (CAD) challenged the buyers and dragged the pair back to sub-0.9400 area. The National Australia Bank released results of January month business survey during early Tuesday. It shows that the indicator relating to business conditions surged to 7 against prior 3 whereas business confidence also rose to 4 from the 3 noted in December last year. 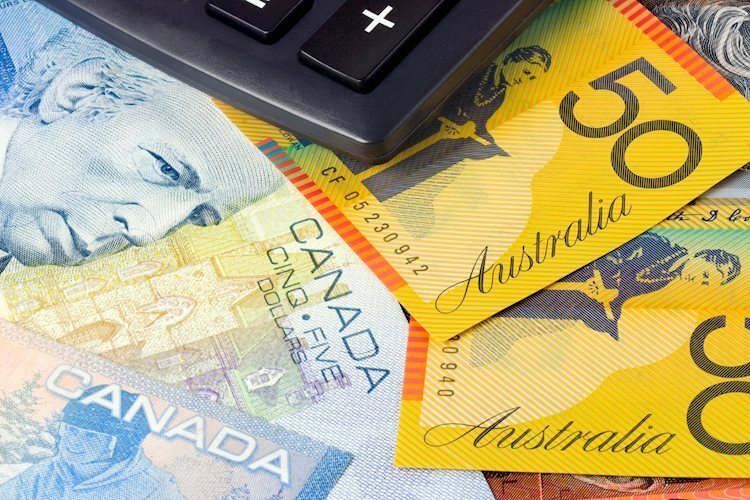 While upbeat Australian data please Aussie buyers and fueled the AUD/CAD pair upwards, the rise was challenged by comparative strength of the CAD, also known as Loonie. The Australian Dollar (AUD) recently struggled due to the Reserve Bank of Australia (RBA) dovish communication and doubts over the future strength of its largest consumer, namely China, based on the US-China trade deal. World’s two largest economies, namely the US and China are at logger heads to come to a solution that can end the fierce trade protectionist measures which negatively affected global economy off late. Recently, US delegates are in China to discuss further on the trade deal but any solution is less likely to arrive as the dragon nation has already disliked the US Navy’s mission around South China Sea while US representatives equally turned down prospects of a deal alleging China as a culprit. On the other hand, the CAD remained comparatively stronger as Friday’s welcome figure of the employment change to 66.8K from 6.5K forecast reduces chances of additional dovish messages from the Bank of Canada (BoC). While recent uptick in AU data favored the pair’s advances, doubts over the US-China trade deal and dovish RBA may weigh on the upside while any positive Canadian details can please sellers. The downward sloping trend-line stretched since early February, at 0.9420, can restrict the AUD/CAD pair’s near-term upside. Should the quote rally beyond 0.9420, the 0.9440 and the 0.9455 may entertain buyers. On the flipside, recent lows around 0.9380 seems strong downside support for the pair, a break of which can drag it to 61.8% Fibonacci expansion of recent dip and pullback near 0.9345.